The opening of the Mersad Berber Retrospective Exhibition will be held on April 18th at the Gallery Klovićevi Dvori in Zagreb.The Berber Exhibition is one in a row of modern classics exhibitions of the GKD. 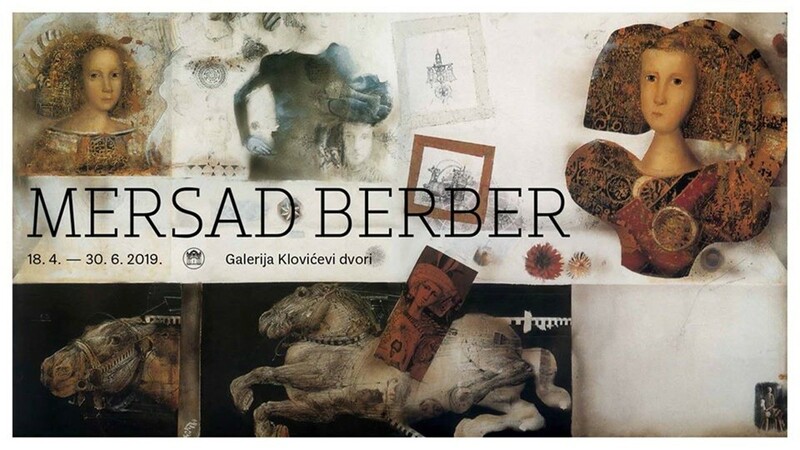 Mersad Berber was one of the greatest and most influential Bosnian painters and graphic artists who spent a big part of his life (from 1992 until the death of 2012) in Croatia (in Zagreb and Dubrovnik). He was born in Bosanski Pertovac, studied painting in Ljubljana at the Academy of Fine Arts where he completed his postgraduate studies in the classics of professor Riko Debenjak. He received the Prešern Prize in 1961, and many international prizes and prizes followed. Berber was, among other things, a member of the Russian Academy of Art, and had great exhibitions all over the world, from London and Madrid, across New York, Jakarta, New Delhi and Moscow, to the most significant one in 2009 in Barcelona and posthumously in 2017 in Istanbul. He was an exceptional drawer, illustrator and graphic artist, but also have worked on theatrical scenography and costumography, movie posters as well as other visual solutions such as Index record. Berber’s works can be found in many museums, galleries and private collections around the world, among others in Tate Modern in London, which in 1984 purchased two works from the cycle of Hommage a Velasquez, and one of the attractions of this exhibition will be these works. His last exhibition in Zagreb was in 1988, and thirty years after, this will be an extraordinary opportunity for the public to get acquainted with the unknown Mersad Berber never seen in this setting.